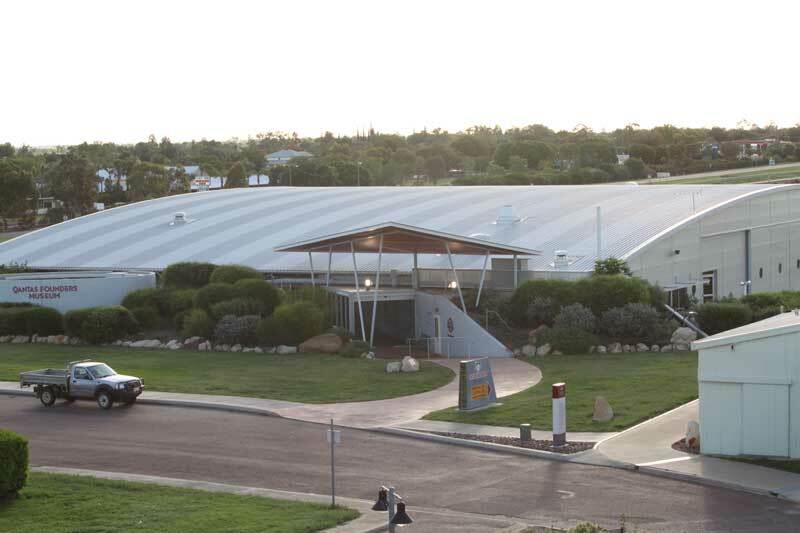 The Qantas Founders Museum, Longreach, is a modern world class facility built around the heritage listed original 1922 Qantas hangar, combining historical artifacts and multimedia displays for all ages to enjoy. Qantas began in outback Queensland in 1920 and the museum is dedicated to the evolving story of Australia’s leading airline. It is an Australian wide community and volunteer project and is entirely funded by public support and sponsorship. The museum provides the visitor a unique insight into the trials and tribulations of starting an airline out in the west and overcoming the problems of long distance travel. It also tells of the places they serviced and the aircraft they flew. 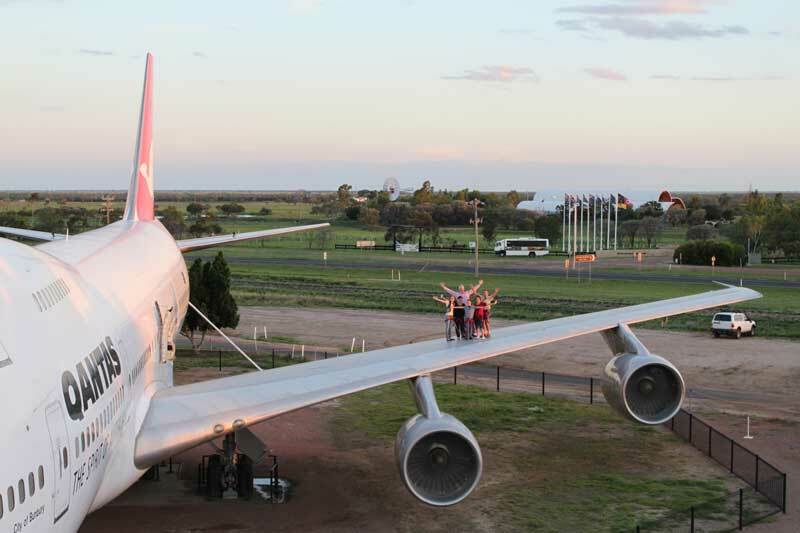 Tour the Boeing 707 “City of Canberra”, the first Qantas jet aircraft registered in Australia, this aircraft marked the change in global travel. 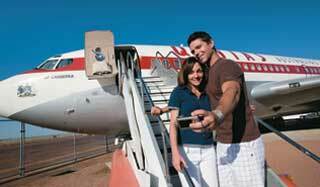 A magnificent ex-Qantas 747 Jumbo jet, “City of Bunbury” is available for tours and also offered is the spectacular Wing Walk tour. This small tour explores the 747’s computer bay, flight system and a unique chance to sit in the pilot’s seat. Without a doubt the highlight of the tour is being able to walk on the wing of a 747 – the only place in the world this is available. 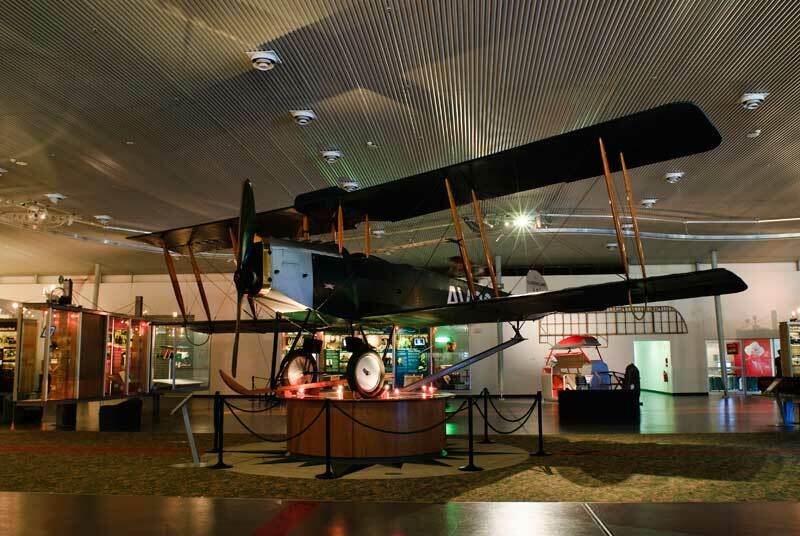 A replica Avro 504K positioned in the centre of the museum commemorates the first aircraft used by Qantas. A replica DH50 “Iris” has recently arrived at the facility. This plane was the first aircraft used by the company that became the Royal Flying Doctor Service. There is a replica DH61, built in 1930 by Qantas and used on the Darwin sector of the London mail service. An original Qantas DC3 sits on the lawn of the museum looking as good as she did when operated by Qantas Empire Airways. Enjoy the McGinness café as well as the Founders gift store where you can purchase souvenirs, clothing, jewellery, books and Qantas memorabilia. Special events are always on the calendar. Open every day 9am-5pm (except Christmas Day).